Will You Get You Get Your Dad’s Credit Score? Death of loved ones, especially a parent can be traumatic. However devastated and sad one might be, there are various obligations and duties that need to be taken care of both financially and other wise after a parent’s demise. The family members have to necessary action regarding various bank accounts, securities, properties and assets that may be held in the deceased person’s name and so on. While bank holding, assets and property are governed by inheritance rules, this rule does not apply to credit scores. Before answering the question it is important that we understand a little about credit report. Credit reports reflect how a person has treated his/her debt in the past and what his levels of debt are; depending on various factors included in the report and individual’s credit score is calculated. 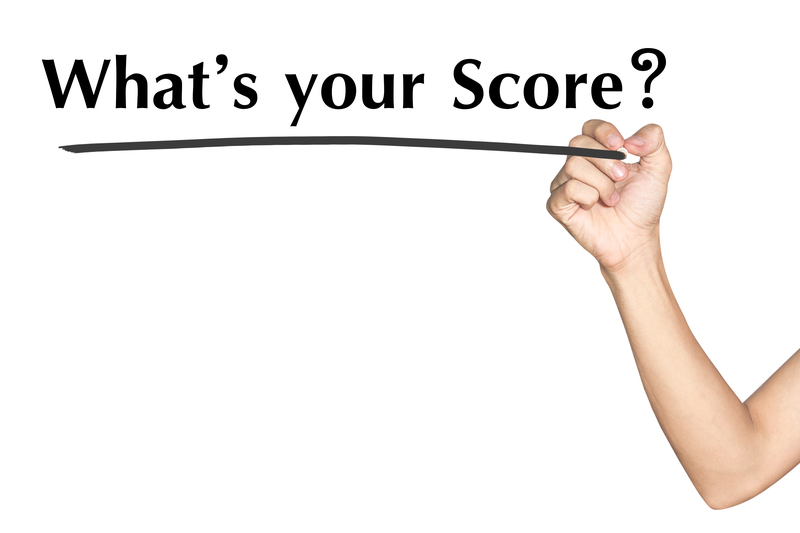 Thus a score reflects an individual’s credit worthiness based on his credit history. So when a person expires his/her credit score is not passed on to the family members as it reflects an individual’s creditworthiness which has no bearing on his children. So, if your dad passed away you will not get his score. Your dad would have had loans and cards in his name and when the person expires there are specific rules to be followed to deal with them. Just like if you have loans and cards in your name they reflect your credit history and how responsible or irresponsible you are towards debt and not somebody else’s attitude. So if you default it will be reflected only in your report and not any other family member’s report. So while you can inherit your father’s property you will not get his score. What happens to the Credit Report of the Deceased? So, now we know that when the parent expires the credit report is not passed on to the children but what happens to the credit report of the deceased. It is important that the family member get the report of the person to get an idea about the open loans, cards etc that a person has in order to get a clear estimate of what is owed to lenders. The family members then need to inform the concerned lenders and credit card companies about the demise of the borrower or the card holder; a valid death certificate needs to be attached along with the application that is submitted to various FIs. Depending on the type of loan there would be various formalities that will have to be completed but the lender will inform the credit agency that the person in question is no more and a deceased indicator is attached to the credit report of the person. This prevents any identity theft or fraud that may happen by misusing the identity of the deceased. The process of surrendering the card or closing a loan may take time but in the meantime, it is important the report be marked as that of deceased. There might be instances when there may be joint home loans that the deceased may have taken with their kids, in such a scenario the fate of the loan impacts the score of all the applicants. After the demise of one applicant, who in this case is the father, the surviving applicant/s will have to make sure that they inform the financial institution about the situation and continue to pay the EMIs in order to avoid defaults and penalties. So while you will not get your dad’s score after he expires there are a host of things that you may need to do which includes informing the concerned lenders and also take appropriate action in case of joint loans. There are various guidelines that specify the importance of preserving a healthy CIBIL score in order to speed up your prospects of getting an approval on your loan. However, this information may be confusing for people and hence, they may tend to overlook its importance which may cause an adverse impact on their credit scores. Higher Credit score is the cause of higher income: An individual’s CIBIL score is affected not by their income but by their credit transactions. Imprudent credit transactions often tend to lower credit scores. Your credit score in strengthened by the length of your credit history. Scrutinizing your Credit score has a negative impact on your report: Many people evade from enquiring about their CIBIL report owing to the myth that doing so would lead to negative marking; while in fact it is considered to be a healthy financial exercise to check your credit report at least once a year. A “soft enquiry” pertaining to your own credit report will not impact your score. However, if a financial institution asks for CIBIL report, it is considered to be a “‘hard enquiry” as it gets filed in the enquiry section of your credit report. Numerous loan applications to banks lead to enquiries and the individual may be tagged as “credit hungry” which will negatively impact your score. No credit equals to a good CIBIL score: It is a common Indian misconception that sustenance on credit is a bad thing. Many people assume that their credit score would be perfect due to non-usage of credit cards and evading loans, however, these people are more susceptible to bad credit scores than those who harm their CIBIL scores by over stretching their credit. Credit scores cannot be assigned to people who do not have any credit history making it difficult for them to get a loan. Hence, it is wise to use your credit card responsibly that having no credit history at all. Your records are maintained only by one credit bureau: A lot of people who are well informed about credit reports and the importance of good credit scores think that the financial records are maintained only by CIBIL. There are three other credit agencies that track and maintain financial records viz a viz. CRIF High Mark Credit Information Services Private Limited, Equifax Credit Information Services Private Limited and Experian Credit Information Company of India Private Limited. If you apply for a loan or a credit card, financial institutions and lenders generate your report from any one of these agencies besides CIBIL. Although your score can vary from one agency to the other depending upon the scoring model used, these scores are exceedingly corresponding. All these bureaus have different scoring models, so your score can differ from one bureau to another. But, even though their scoring models may differ, these scores are highly correlated. Hence, if your credit transaction is considered good by one bureau, it will possibly be considered to be good by the other bureaus as well.